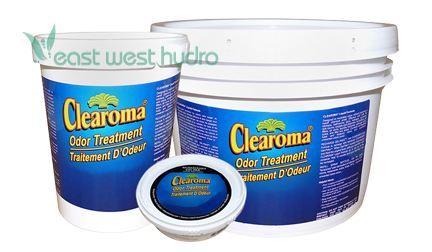 Clearoma products are widely used to eliminate offensive odors such as cooking smells, cigarette/cigar smoke, mildew, pet odors and other offensive organic odors. Clearoma eliminates all organic odors while replacing them with a subtle fresh scent, which dissipates as the smell is eliminated. Perfect odor control anywhere. Refill with liquid Clearoma. Simply open the container to let the polymer inside release aromatic vapors to control unwanted odors. Works 24 hours a day. Dimensions: 4.5in. × 4.5in. × 1.5in.